Five of the 50 killed in last Friday's horrendous terrorist attacks have been formally farewelled at Memorial Park Cemetery, Christchurch. 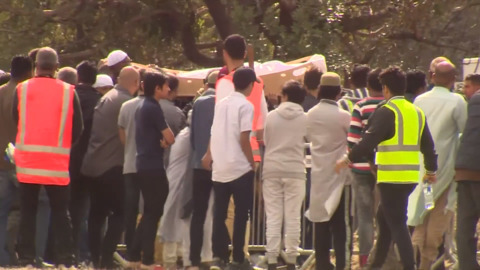 Father and son Khaled and Hamza Mustafa have been laid to rest this afternoon in Christchurch, surrounded by more than 200 mourners including whānau and members of the Muslim faith. The last 'Golden Girl' from the founding era of veteran Māori Club Ngāti Pōneke, Riria Utiku (nee Walker), has finally been laid to rest. At 102 years old, she was farewelled by friends and family at Wellington's Pipitea Marae. 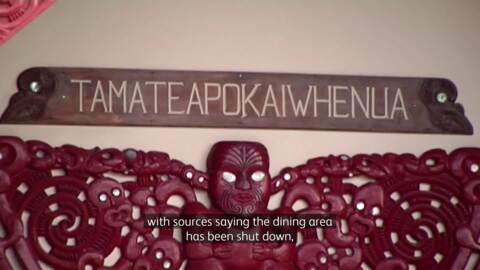 The whānau of Minarapa Mikaere Mitai-Ngatai has paid tribute to the well-loved Rotorua kaumatua. Funeral proceedings for prominent kaumatua Morehu Ngatoko Rahipere have been marred by a police investigation into the death of a 37-year-old woman at the Tauranga marae where his tangi was being held. 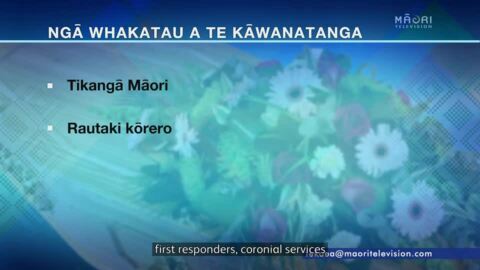 The funeral industry will be regulated to consider Māori customs when it comes to whānau access and the management of their deceased, following an inquiry by the Māori Affairs Select Committee. Green Party MP Marama Davidson says this will make a big difference for whānau, especially when dealing with authorities. Iwi from around the country, local government agencies and churches paid their final respects to the late Te Arawa leader Pihopa Kingi. Rotorua Mayor Steve Chadwick says the Ngāti Whakaue chief was pivotal in ensuring Iwi were included in decision-making regarding the City. In their tributes to Lewis Ruihi Moeau, former and current Parliamentarians thanked Moeau for his advisory of Māori language and culture. 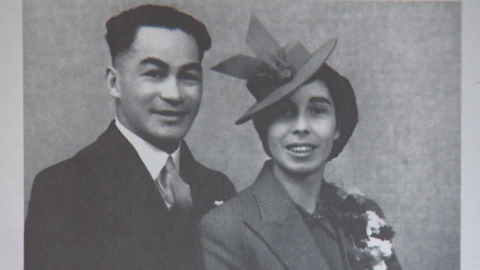 A queen bee of the Ngāti Poneke Young Māori Club has passed away, just a few short months after her centenary celebrations.  Hailing from Hokianga, Vera Morgan was known as a strong advocate for Māoridom.